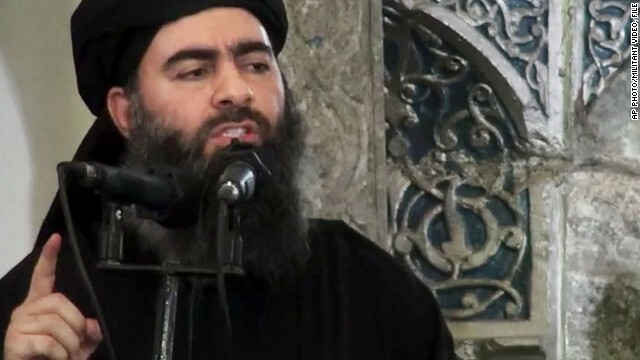 CNN speaks with Fareed about a message on an ISIS social media account, which claims to be from the group’s leader, Abu Bakr al-Baghdadi, saying that the U.S.-led coalition is "terrified, weak and powerless." This is an edited version of the transcript. What are your first impressions when you hear this message, supposedly from al-Baghdadi, using the words weak, powerless, failed and going as far as mentioning the additional 1,500 troops the president has announced? This is an old tactic. Al Qaeda used to do it all the time. There’s always a lot of bluster and braggadocio. But I also think it's important to remember something I have often said. They are trying to set a bait – they want the United States more involved. It helps them recruit. CNN speaks with Fareed Zakaria about President Obama’s speech on the threat posed by the Islamic State of Iraq and Syria delivered at the United Nations on Wednesday. This is an edited version of the transcript. Many were surprised that the Obama administration did in fact put together a coalition including five Sunni Arab countries to not only express support, but military support against ISIS. They got involved in striking these ISIS targets in Syria. That certainly is going to put enormous pressure on the rest of the world and friends of the United States to at least voice support for what the U.S. is trying to achieve. Frankly, I wouldn't mind seeing the United States leading a little bit from behind on this one, which is to say having the Sunni Arab states in the front confronting ISIS, rather than having what ISIS would regard as the crusader capitalist Western Christian power do it. The issue here, though, is that the strikes are fine, and I think the president will find there's broad support in a campaign against ISIS. There's broad support for the kind of talk about world order. But what's the regional strategy and follow up? These addresses before the U.N. General Assembly are usually pretty good speeches, well written, there's a whole laundry list of international issues they want to get through, make some points, but then a few days later, certainly a few weeks later, very few people remember what they said. Will this speech be remembered down the road? I think it will because of that very distinctive piece of it, the call on the Muslim world to cleanse itself of extremism. Very unusual. Many presidents have thought about talking in those terms, but have always been deterred – I know this was a conversation that took place within the Bush White House – because [they] always felt it would seem too anti-Muslim. CNN’s New Day speaks with Fareed Zakaria about recent developments over the Islamic State of Iraq and Syria (ISIS) and what the U.S. response should be. This is an edited version of the transcript. What is the perspective from Arab states about who is willing to join the coalition against ISIS and put boots on the ground? Let's think about it from this point of view. 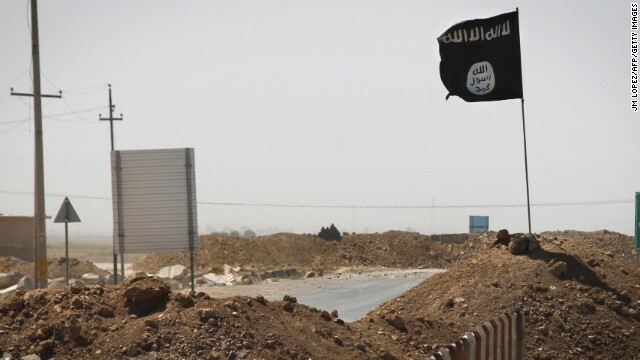 What is ISIS’s strategy? What are they trying to do to put out these videos, by doing this kind of brutality? They are trying the goad the United States in. What they want to do is say, there America goes again, invading another Arab country, bombing Muslims, and we are the defenders. They want to make it us against them. What we have to be careful not to play into the game, not to jump when they ask us to. Editor's note: Conrad Burns was a U.S. senator for Montana from 1989 to 2007. The views expressed are his own. In his first inaugural address, Ronald Reagan laid out his vision for re-establishing the United States as an "exemplar of freedom and a beacon of hope for those who do not now have freedom." This was hardly a new concept in 1981, yet as President Reagan assumed the presidency, the notion that the United States could, and should, serve as a guiding light to help guide peoples and nations in their quest for freedom was much in need of revival. 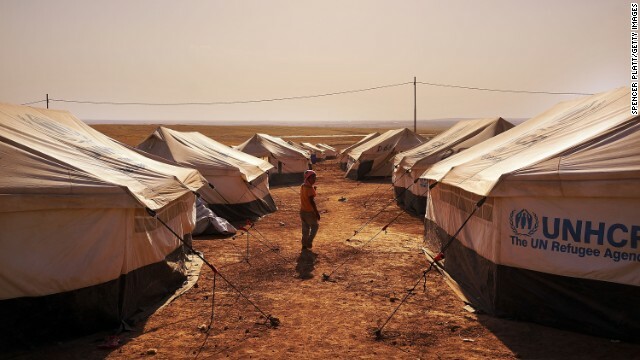 Today, as headlines are dominated by the growing threat posed by the extremists of Islamic State of Iraq and Syria to Iraq's Kurdish minority and the region, the United States faces a similar crisis of character. Middle East set for a great sorting? CNN speaks with Fareed Zakaria about Iraqi President Fuad Masum's decision to nominate a new Prime Minister on Monday. This is an edited version of the interview. Nuri al-Maliki, the current Iraqi prime minister, may not go quietly. He may try to use the forces loyal to him to effectively engage in some sort of coup. What's your analysis? My own sense is that he won't do that. 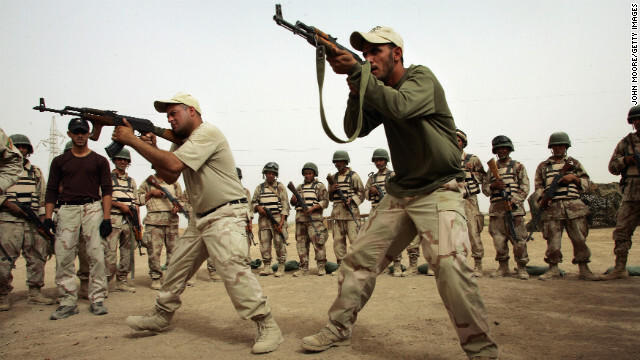 There are many, many forces within the Iraqi political system that would be very strongly opposed to them. Most importantly, Grand Ayatollah Ali al-Sistani, the chief Shiite cleric of Iraq, has always been clear that Iraq needs to be on a democratic path. You remember early on, when we were watching Iraqi politics begin, Sistani was very clear on the need for elections, for democracy. So I would suspect that he would come out strongly opposed to this. And in that case, al-Maliki's support would collapse. Indeed, Al-Maliki's support has largely collapsed. What he’s now holding onto is the thin reed that says technically he was meant to be asked first because he's the leader of the largest bloc. That's an academic issue because his bloc, the support, has disintegrated. I would suspect he might mount some kind of legal challenge, but he won’t try to use his position as commander in chief to do what you rightly say would be effectively a military coup. So let's see what he does in the next few days. Haider al-Abadi, the nominee to be prime minister, is a Shiite. Can he unite the country? There's a Kurdish new president. There's a Sunni speaker. Can this group effectively take Iraq to a position that all of us had hoped it would be at, but clearly has not reached. That's the million dollar question because what we have focused a lot on is the fact that al-Maliki is the bad guy, he didn't reach out to the Sunnis and, you know, we need change. And that's true. Al-Maliki has been a very sectarian and also somewhat incompetent leader. But there’s a larger sectarian dynamic in Iraq, which is to say al-Abadi is himself a Shiite from the same party that al-Maliki is from. The party is a pretty tough, hard line party. These guys spent most of their time in Iran before, in exile. So they're often somewhat pro-Iranian. They're pretty tough in terms of viewing themselves as Shia first and Iraqi second. The other positions in the government aren't very important – the speaker and the deputy speaker and all these positions. So what we've seen in the past is, you have a lot of personalities and you have the right ethnic mix, but it doesn't matter because the dynamic of the system is making the Shiite politicians act more sectarian. That makes the Sunnis act more sectarian. 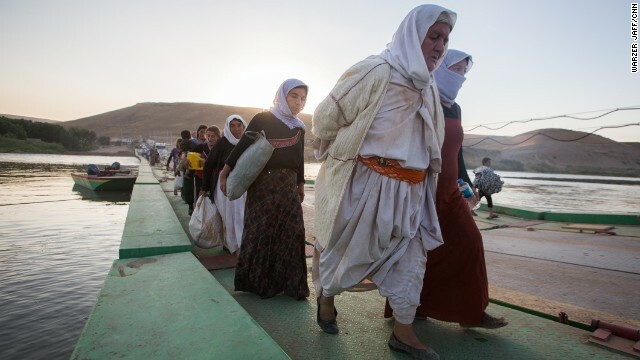 The Kurds essentially trying to retain their independence. So I'm not very hopeful. I think that it might be better. But you have a sectarian dynamic at work in Iraq. If you just look at the people who are guarding these various groups, it's the Shiite soldiers who are essentially guarding the Shiites. The Sunnis are more in the Sunni areas. Even the army, in other words, has fragmented into kind of sectarian units. So when all is said and done, what Joe Biden and others recommended years ago – some sort of partition if you will of Iraq into a Sunni area, a Shiite area, a Kurdish area – may be the best solution when all is said and done. I think there's a lot of wisdom there. I think people do need to take a second look at what Joe Biden was suggesting, which was, by the way, to be fair to him, a loose federation. He always understood you couldn't really partition as cleanly because, as you know, the middle of the country, which would be the sort of Sunni land, is actually full of Shias. Baghdad has lots of Shias in it. So how would you do it? Historically, the way these happen is you have a certain amount of ethnic cleansing. In other words, the Sunni leave the Shia areas. The Kurds are, in any case, pretty much sealed. Maybe there's going to be a great sorting out in the Middle East. It's very sad to see. But think about what's happening. 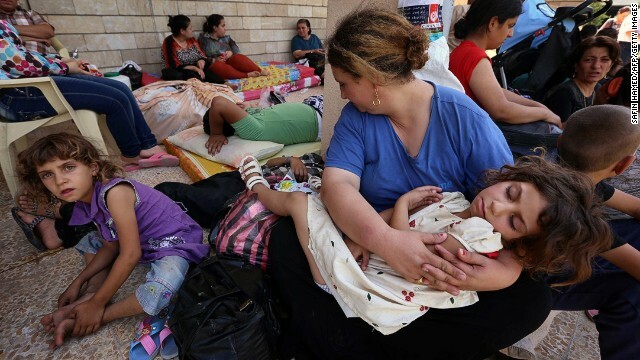 Hundreds of thousands of Christians have already left Iraq, even before these latest strategies. 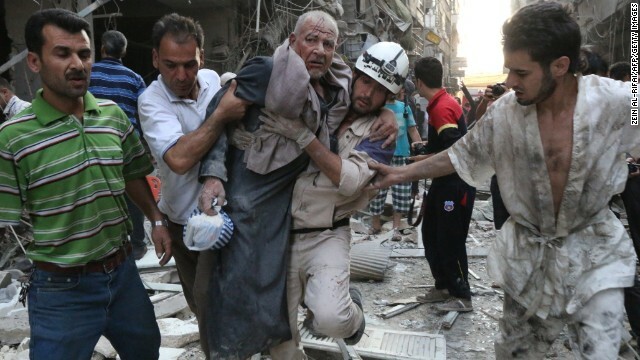 You've seen Christians flee Syria. 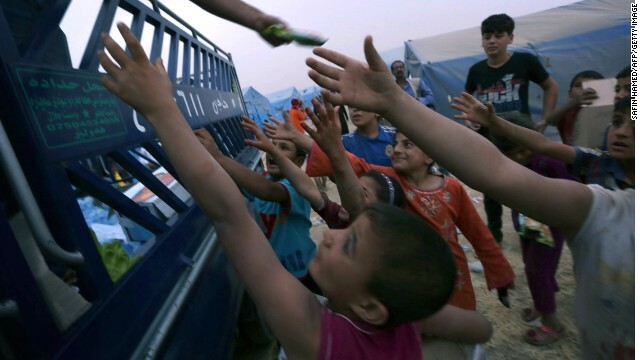 You're seeing Kurds flee Syria. 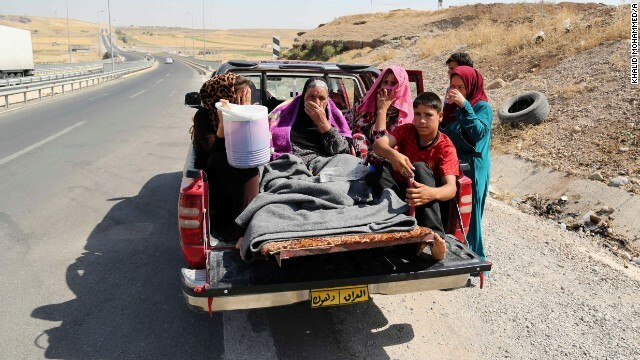 You're seeing the Sunnis flee out of Shia areas. In other words, what you're seeing is the end of any kind of polyglot, multicultural Middle East. And what you're seeing is a very stark division where people are moving into their ethnic and religious corners.